Prior to 2000 most discipleship was done on a direct one-to-one bases. Kelly and his leadership team would spend time teaching and mentoring these new disciples. Even though the mission experienced revival and rapid expansion, discipleship was limited to Kelly and the few qualified leaders the Lord had raised up. Then in 1998, while building a permanent mission station, Sebadine, one of Kelly’s leaders, suggested that he believed the Lord wanted the mission to start a Bible college. Kelly was reluctant to develop a Bible college, as he had never been to a Bible college himself. Kelly felt unqualified to start a Bible college. 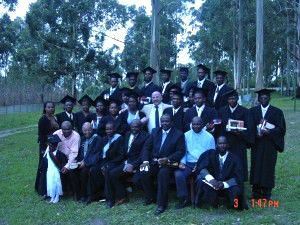 After a few years of prayer, however, the Lord established Gatyana Bible College (GBC). 1. It is the only Bible college that teaches the Word of God in the native language, isiXhosa. Other Bible colleges require students to learn one of the ‘whiteman’s languages’ (English or Afrikaans). 3. GBC doesn’t require a high school diploma for admission. GBC only requires that the students be able to read and write in isiXhosa. 4. GBC is the only Bible college that doesn’t charge students to learn the Word of God: the Xhosa are a very impoverished people. GBC believes that nowhere in the scripture does Jesus, Paul or any teacher/rabbi ever charge to learn about the Gospel. Accordingly, GBC doesn’t charge a fee for studying the Bible. 5. GBC is the only Bible college that is governed by native black Africans (with the exception of Kelly). Almost all other African Bible colleges are governed by prominent white theologians. This governance has been an example that the African blacks are very capable of leading their own ministry. 6. GBC is registered and recognized by the South African government as a non-profit organization, and complies with all the regulations of a registered Trust. 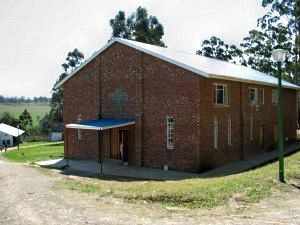 GBC is located on the mission station in Willowvale, Transkei (Eastern Cape).